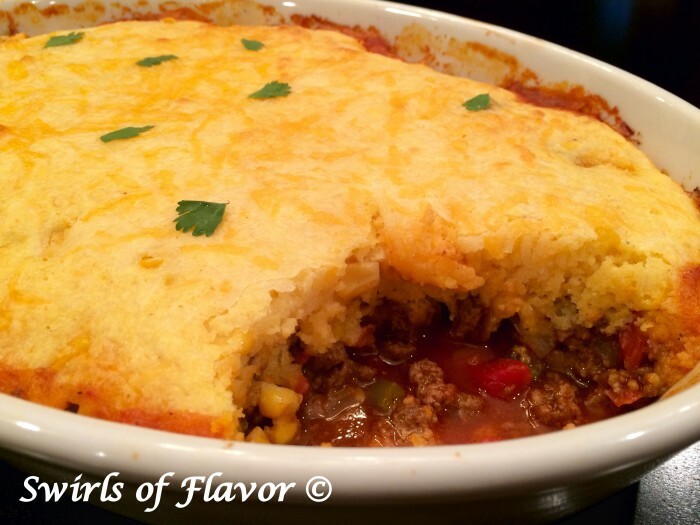 Chili Cornbread Bake is an easy recipe that will certainly become a family favorite. A saucy homemade chili is smothered with a cheesy creamy cornbread topping and baked until hot, bubbly and golden! The perfect comfort food dinner on a chilly evening. 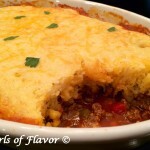 The kids won’t mind going to school after the holiday vacation when they come home to Chili Cornbread Bake for dinner! Everyone loves a homemade chili and this one is saucy and flavorful. 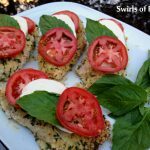 Top it with a cornbread mix with added cream style corn for a creamy texture with bits of corn then stir in shredded cheese and bake to perfection. And you’ve got yourself a winner of a dinner that you’ll want to add to your menu rotation. Homemade chili smothered with a cheesy creamy cornbread topping and baked until hot, bubbly and golden! Oh yes, now we’re talking dinner! 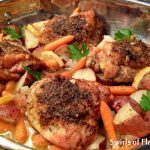 Get out that slow cooker! 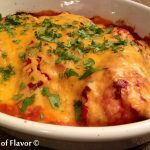 Brimming with chicken, beans, corn and seasonings, Slow Cooker Chicken Chili can be served up with hot cooked rice or wrapped up in tortillas. Preheat oven to 375F. Spray a 2-quart baking dish with non-stick cooking spray. Heat a large non-stick skillet over medium-high heat and cook ground beef, onion, chili powder, cumin and kosher salt until browned, stirring occasionally. Stir in diced tomatoes & green chilies and tomato sauce. Transfer ground beef mixture to prepared baking dish. In medium bowl combine corn muffin mix, egg, cream style corn, 3/4 cup cheese and milk until blended and spread over beef mixture. 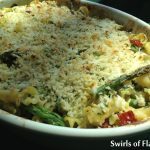 Sprinkle with remaining 1/4 cup cheese and bake 25 minutes or until cornbread topping is baked through and mixture is hot and bubbly. *RoTel brand diced tomatoes & green chilies can be found in the Mexican ethnic section of your grocery store. Still can't find them? Just substitute 1 can (14.5 ounces) diced tomatoes, preferably with jalapenos or green chilies.